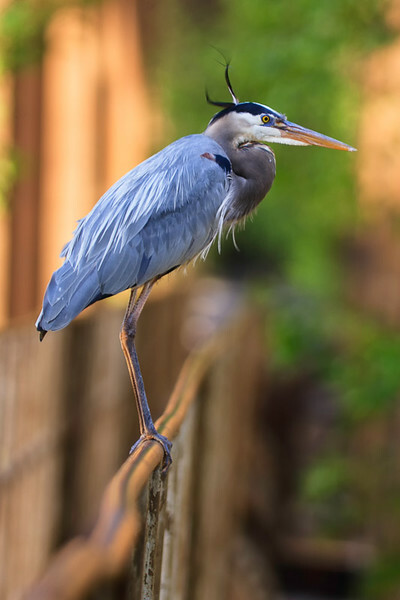 Great Blue Heron sitting on a rail on the pipeline at Pipeline Rapids near the heron rookery on the James River in downtown Richmond, VA, 5/3/2008. The bird was lit by the late evening sunlight from behind , which lends a bronze color to the scene. Captured using a Canon 1D Mark II camera and 300 mm f/4 lens with 2x extender; 1/50 sec @ f/8, 200 ISO.